Many people suffer from dry mouth. Dry mouth can lead to discomfort when swallowing or talking, dry cracked lips, and frequent sore throats. What some may not realize is that dry mouth can also be the cause of more serious dental problems. Dr. Michael Bixby, a leading Red Bank cosmetic dentist, can offer his clients dry mouth treatment as well as repair any damage that has already occurred as a result of dry mouth. Dry mouth is a condition that occurs when there is not enough saliva being produced to keep your mouth moist. Stress is one of the most common causes of dry mouth. Other factors that may be the cause of dry mouth include dehydration, smoking, the use of certain medications, or some illnesses. If you suffer from dry mouth, it is important to see your dentist. Not only can a dentist help determine the cause of your dry mouth, he can also offer treatment for dry mouth and any dental problems that may have been caused as a result of dry mouth. These problems will only get worse if dry mouth persists and is left untreated. A dentist can help you determine the cause of your dry mouth and recommend the best possible treatment. There are some simple steps that can be taken at home to help combat dry mouth. 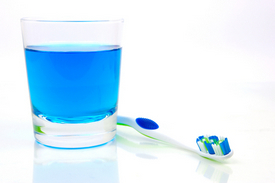 It is also very important to keep up regular dental cleanings, especially if you suffer from dry mouth. Regular dental check-ups will help maintain your oral health and may help you avoid the dental problems that can be caused by dry mouth. If you have suffered from persistent dry mouth, you may already need treatment for some of the dental problems mentioned above. Dr. Bixby can offer patients in Red Bank restorative dentistry to repair any damage that has been caused by dry mouth. To find the best treatment for your dry mouth, schedule an appointment with Dr. Bixby. Dr. Bixby is ready to repair the damage caused by dry mouth using the appropriate restorative dentistry for your situation. Let him give you back a healthy and beautiful smile!